Spartan Race FREE ENTRY Giveaway ….. 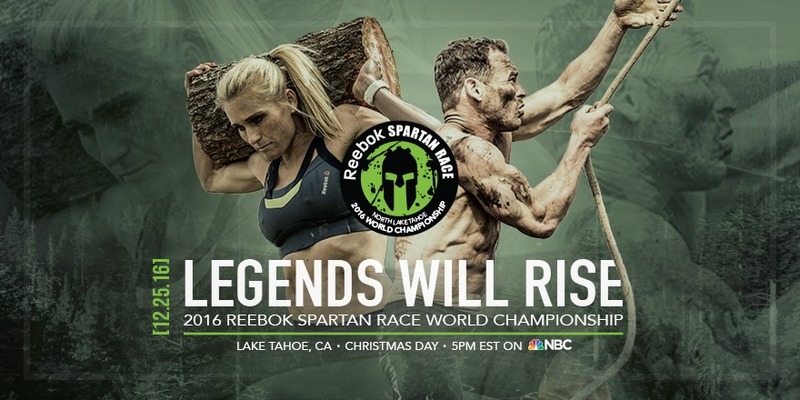 In honor of the NBC airing of the 2016 Reebok Spartan Race World Championships on Christmas Day at 5pm EST, we are giving away ONE open heat entry to a US Spartan Race of your choice! The 2017 Spartan Races will feature NEW season passes. New medals. New locations. Even with all the NEW stuff that Spartan is offering, they will still deliver the same great experience that will leave you walking away feeling like you REALLY accomplished something. Who knows, you may even feel like a badass. No matter where you decide to race or at what distance, as always HAVE FUN! Spartan Races has given me one FREE race entry to give away. US Races only. Open Heat Races only. What do you need to do to win? Just comment below and tell me what’s the hardest endurance type event that you’ve ever completed. If it’s a Spartan Race, great. If not, we still want to know! Giveaway begins NOW & goes until noon EST on Thursday, 12/29/16. Let’s get some one a free entry to start off the new year! Remember, you can only win if you leave a comment below! This entry was posted in Cross Training, CrossFit, Family, Fitness, Giveaways, Running and tagged Aroo, Be a Badass, Be a Spartan, cross training, CrossFit, Fitness, Free entry to an OCR race, Free Entry to any US Spartan Race, Obstacle Course Race Giveaway, OCR giveaway, Running, Spartan Race Giveaway by tootallfritz. Bookmark the permalink. I’ve done 3 Spartan supers in va and I love them!!!! Never done a Spartan. I did try a mini triathlon. Hardest thing I have ever done is a Marathon. My first attempt at a full distance tri. Although I didn’t make it, I got back out there and did s half 2 weeks later. 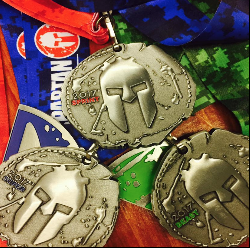 goal for this year is a Spartan Trifecta (in addition to a few more tri’s) and plan to earn the final medal in my childhood backyard. Arooo! The Mohican Endurance Festival (70.3 at Mohican State Park). The weather was brutal — hot and humid. My hardest endurance runs were my first trail 50k on very technical, HARD trails in Oct. and my first 50 miler on a much flatter, easier trail last month! 🙂 I have done one Tough Mudder in the past and would love to try a Spartan! Well crazy enough I just completed the worlds toughest mudder this past November. Made t my goal of 24 hrs and 50 miles. That was definitely the hardest thing I’ve ever attempted. I did Spartan Saraland, AL last yr…def the hardest but want to do it again! I have done the Muddy Buddy several times and the Warrior Dash once. To be honest … Neither were super difficult. Would love to try something more challenging and have been tempted to try a Spartan! Super Spartan is my hardest race yet! The hardest endurance type event I’ve ever done was World’s Toughest Mudder, a 24 hour endurance event. The hardest endurance type event I’ve ever been a part of is World’s Toughest Mudder, a 24 hour event. The hardest endurance race I have done was my first Spartan Sprint. I would love to get out there and do another Sprint or even a Super! I’ve done the SISU Iron 30 hour endurance event in California. It actually turned out to be 40 hours. No sleep. Lonely midnight mountain hikes. Poison Ivy. Log carries. Trail running. Tons of PT. And some dancing. My toughest race was a Spartan. The sprint ended up being 5 miles, 20 obstacles in fresh mud and 45 degree weather in October. Brr! Never done a Spartan race but would like to give it a try. Hardest thing I have ever done was a Marathon. My only tri to date, a half Ironman. Hilly hilly hilly bike ride, but I’ve never been prouder of myself!